Pogba is banned for the game. FA: "He was booked twice in last season's Coppa Italia, which results in a one-game ban. This has been transferred to England." Mourinho on Bournemouth: "They have the same manager and same players who came from the Championship together and didn't change the way they play. It is a good stable team and they will make a difficult match for us." That's such a shame!! Thought we might get to see a glimpse of him on Sunday. But it gives him an extra week of training to get match fit I guess. Can't imagine he'd have played anyway. Another chance for someone else. This will be a tough game, hopefully do enough to get the 3 points. Yeah it'll be a tough game so I guess maybe this is for the best? We need players who are match fit and ready. Think we will win as long as we don't play Fellaini... Please god don't let us play him. After watching 3 games today, a lot of the sides seem undercooked and we probably are too. A performance would be a bonus tomorrow, win the most important thing at this stage of the season. Think that's been the case for a long while now hasn't it? First few weeks it's about getting that Fitness, improving as a team and getting the results. 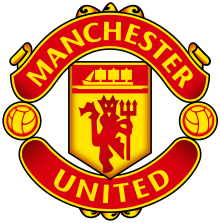 Team: De Gea, Valencia, Bailly, Blind, Shaw, Fellaini, Herrera, Mata, Rooney, Martial, Ibrahimovic. Subs: Romero, Rojo, Carrick, Schneiderlin, Memphis, Mkhitaryan, Rashford. Rich will be having a gripper now. But I'm not going to mention the obvious reason why I'm pretty livid. We may need to bring on the pace in the second half. Who is the deep midfielder? I wonder if Mourinho will try to convert Herrera into a deep lying midfielder. The midfield seems to lack pace and real dynamism which is a worry. In fact with Mata the whole team does and I don't get it! Possibly... He needs to find Herrera a role and that role certainly isn't as a number 10 in this system I don't think. When Jose was announced a lot feared that we would continue to play full football. Most thought results would improve but the football wouldn't really improve. I argued that because for Real he played really good attacking football and his Chelsea teams did quite a lot too. Now I know it's early days... But based on his team selection for the last two games I don't see how the style can change? We've made good signings but none that really can change the way the team plays?! OK maybe Pogba... But there's such a lack of pace in this team it's a real concern. Sorry to say but the sooner Rooney is dropped and we see Mkhitaryan and Rashford more the better. I'm under no doubt that results will improve under Jose and we will compete. Pure and simply he's a better manager who gets more out of his players and knows how to succeed in England. But the style is a bit of a concern. Very early days, Rich. As Jason stated, a lot of teams (including United) are undercooked. Oh I know... I just don't see the pace in attack that's going to make a real difference in this team. It's all so slow and static because it's virtually the same team as last year. You know what... I'm thinking maybe this is the right partnership! Great header by Wayne after good play on the wing by Valencia. What a finish! He alone is worth going to watch. 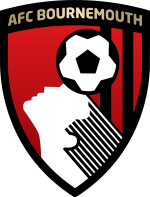 Hell of a strike and good play by Bournemouth in the build up. Let's not lose our composure.